And so it has finally surfaced(pun intended), and the tech world is going into their analysis mode to determine which is better and why and which deserves our hard earned penny. So I am going to jump onto the bandwagon and offer my 2 cents. Rather than simply posting a chart and compare few bullet points, I am going to talk about what’s behind those bullet points. Bullet points are easier to look at, but there are always more to those points that everyone should take into consideration before taking out the wallet. What does higher/lower resolution means? What are the benefits of having a keyboard? What about the apps? How does having a USB port benefit me? Let’s take a look. First thing first and let’s get this over with, that is resolution. I must say I am kind of disappointed about the resolution on RT. The resolution of 1366*768 is kind of disappointing to have, it should have been 1080p, not less but not more either. But I shall thoroughly disagree with iPad fans here and say more resolution is not necessarily better. Yes higher resolution and in turn higher pixel density is great to look at, but it does inarguably come with a few caveats, weight(if not battery life), heat, performance. 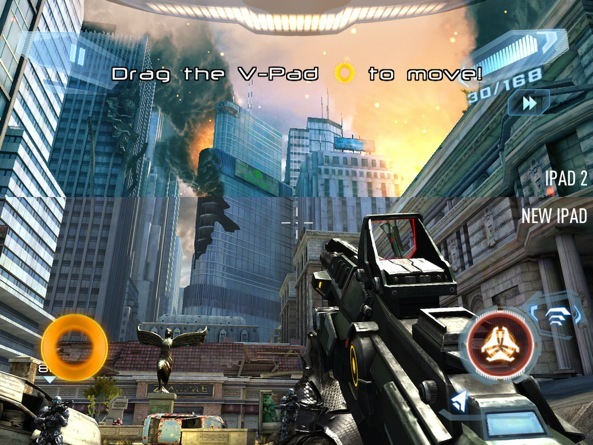 iPad 3 despite having a stronger SoC inside compared to iPad 2, had visibly worse gaming graphics as this article finds. The first public release of Windows 8 had almost the opposite treatment Windows 7 had. After Vista, Windows 7 was like fresh air to many users. While I would argue that Vista was by no means a bad OS (DX10 and Start Search was huge for me), specially if you are lucky enough to have hardware that have good drivers, Windows 7 was indeed faster even in the beta. Every tech blog was ecstatic about the performance improvements it offers over both Vista and XP. Things only got better in RC, GA.
Fast forward to 2012. Windows 8 again comes with a host of performance improvements, specially the booting. If anyone here still hasn’t tried it, it REALLY does boot almost instantly, something Windows 7 can do only in SSD. Despite the performance improvements, and some very nice explorer tweaks Windows 8 has been target to some very severe bashing. Reason? The METRO INTERFACE.